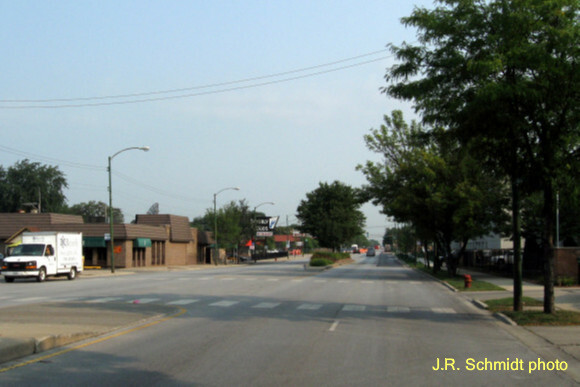 In 1914 Chicago annexed the village of Morgan Park. 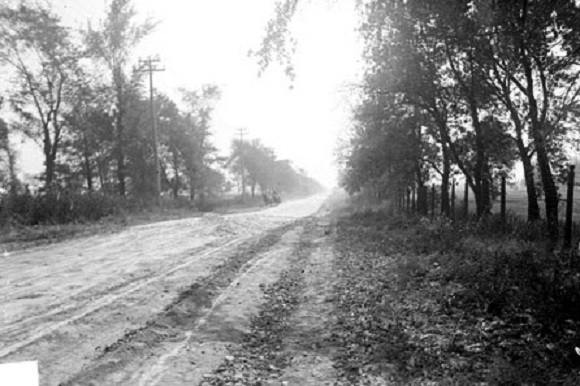 Western Avenue here was still a dirt road. Contemporary maps indicate the west side of Western was part of Mount Hope Cemetery. Today the area is fully developed. Mount Hope Cemetery is still in business, but several blocks to the west. The cemetery sold off some of its unused land, and the blocks bordering Western are now a residential community called Beverly Woods.